Games like Dishonored and Assassin’s Creed have really boosted the stealth genre of video games, the methodical style lends itself well to those who want a game that is not simply about killing but working your way around a situation. 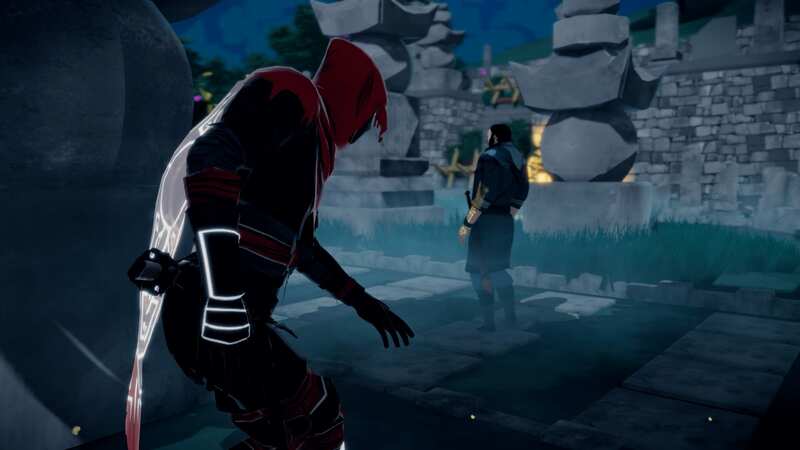 Due to this stealth games have become a favorite for the thinking man to play, and Aragami is one of the latest to embrace this method of hiding in the shadows and planning your next move, but at the same time feeling a little too dull to ever truly shine. A point that made Dishonored shine within the stealth genre was the emphasis on a deep and involving narrative and gameplay that offered multiple paths to progression. Aragami offers something similar relying on many of the skills and tactics which made Dishonored work, yet when it comes to actually putting them into acquisition they feel all too shallow. There is no narrative push that drives you forward and gives you a reason to succeed in your mission, nor are there ever really multiple paths to offer a sense of freedom. 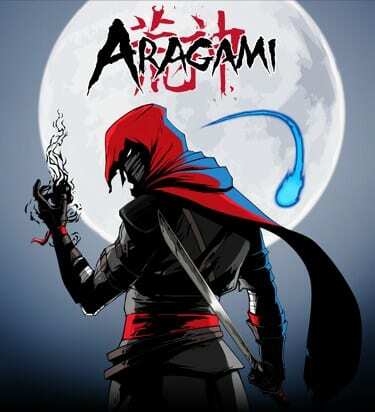 You play as Aragami, a shadow spirit who has been summoned to work under the cover of darkness and seek vengeance, this is the bare minimum of a character exploration with any further story elements exploring our summoner Yamiko’s past and an odd connection to our character himself. This creates some interesting twists for the story going forward and there are some reasonably compelling moments that attempt to gain the players interest, but ultimately the story feels stale after a while and becomes far too predictable to ever truly care about Aragami or any other characters. Starting Aragami the game is actually pretty enjoyable, the game teaches all you all the tools you will need to complete your mission of getting from point A to point B. The simple means of taking out an opponent or using your shadow powers are easy to master and around the first couple of missions these are a simple joy. Being able to use the shadows to teleport around and quickly take out a foe, or sitting patiently and watching the enemy from the darkness was moderately enjoyable as you plan out your next move. However this style that the game focuses around is exactly all there is, environments blend in with one another and the task never changing. The basic objective of running through a level assassinating foes and getting to the other side never truly evolves in any satisfying way. Each level settles into this monotony of repetition and simply shows what it has in store for you early. It never takes the chance at introducing any major new mechanics later on which completely alter the experience. Despite this there is nothing ever technically wrong with Aragami, the methodical style to the gameplay works fine to create a thought provocative experience. The simple nature of the core mechanics work well to create an experience that was easy to learn though hard to master. The sheer amount of patience required to get across a level is great, and finding a rare instance where you can quietly sneak above foes without being seen is incredibly satisfying. The same can be said for the upgrade system, this forces you to explore each level extensively as you find scrolls that will give you skill points. From here you can adapt the game to your own preferred playstyle, be it of a more violent nature, or adapting your personal Aragami to be a shadow and placing skills on him that perfectly embody your preferred playstyle or key approach. Being able to place skills that blind foes with the shadows, or the classic teleport between shadows offers interesting developments upon how you can change your playstyle on subsequent playthroughs and experiment to find a system that works for you. But even despite some of the great points Aragami is still one of those games that around the half way point you feel like you have gotten everything out of it that you need. So even despite the fact that there are multiple ways to play and approach this game there is never a need to go back. Aragami’s gameplay fails to evolve and as such offers little reason to want to continue. Part of this comes down to how the levels are simple and barely show any real substantial change between each other, and this goes the same for enemy types, across thirteen levels there are only three types to deal with. Standard sword bearers, archers who patrol higher ground, and stronger sword wielders who have a torch always surrounding them that can kill you on impact. The game does not pace these out and just sporadically throws them in and they all grew tired pretty quickly, there was a hope that perhaps something might surface later on and evolve the game even slightly but this never transpired. 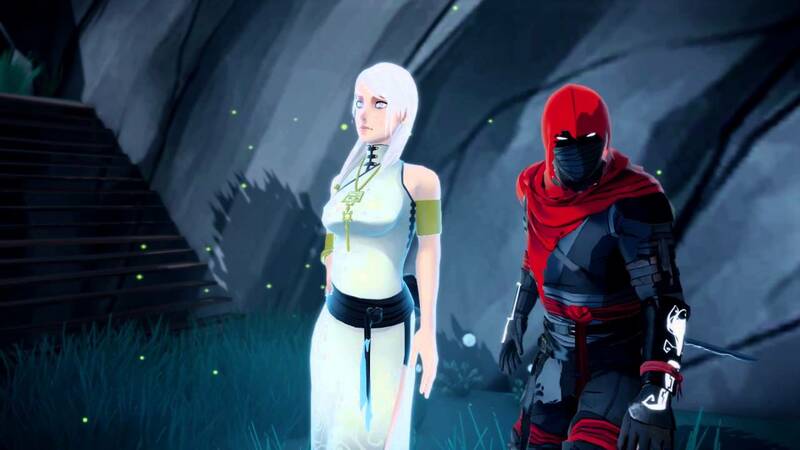 As a stealth game Aragami held a lot of potential when it was first revealed, while it was certainly nothing revolutionary it did show a certain potential for fun. While Aragami does end up offering a decently suspenseful and thoughtful experience, it also manages to feel shallow and repetitive.